The major announcement of Angelina Jolie and Brad Pitt’s separation did not only stun the world, but also those close to the couple. Actor George Clooney, who starred alongside Pitt in “Ocean’s Eleven” was shocked to hear about his longtime friend’s impending divorce. 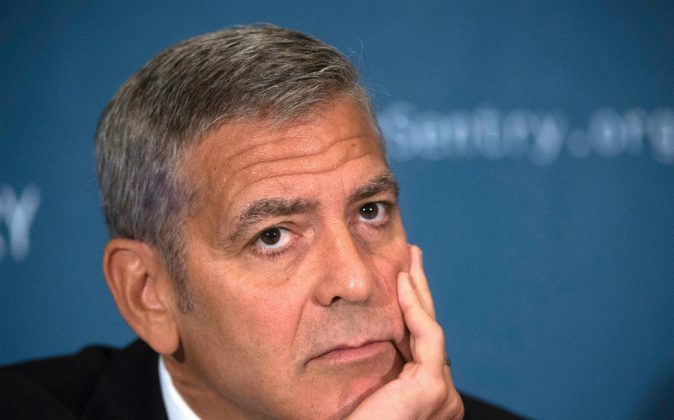 CNN broke the news to Clooney while in attendance at the UN General Assembly. “What’s that?” a confused Clooney asks. “Angelina and your friend, Brad,” Roth says. Jolie had cited “irreconcilable differences” in divorce paper filed on Sept. 19. The couple were together for more than a decade before they tied the knot in a private ceremony in 2014. While the pair have decided to separate, they’ve stressed the importance of maintaining a healthy environment for their six children pending the dissolution of their marriage. “This decision was made for the health of the family. She will not be commenting at this time and asks that the family be given their privacy during this difficult time,” the Jolie Pitts’ attorney, Robert Offer said in a statement. In the court filing, Jolie petitioned for full physical custody of the children, with visitation rights for Pitt. Pitt’s new film, “Allied” is slated to hit theaters on Nov. 23.